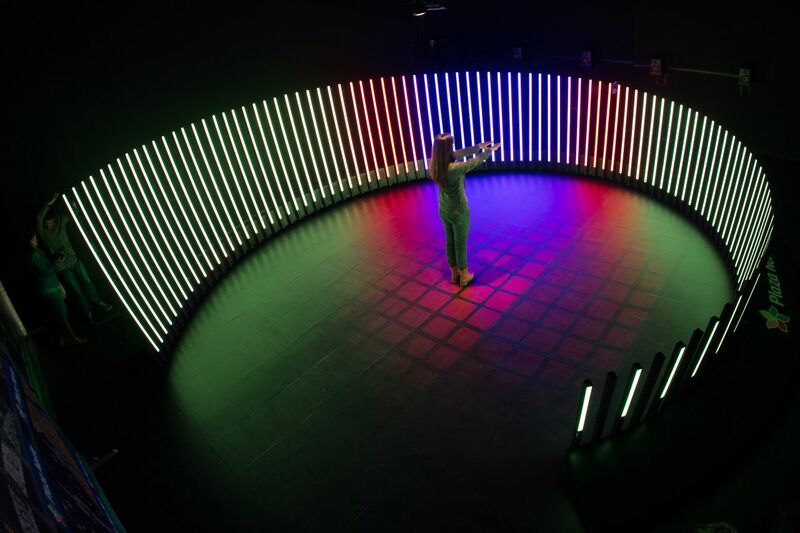 A spiralling array of linear lights gently encompassed the participant, immersing them in an audiovisual landscape in which even the slightest movement generated ripples of colour and sound across the space. 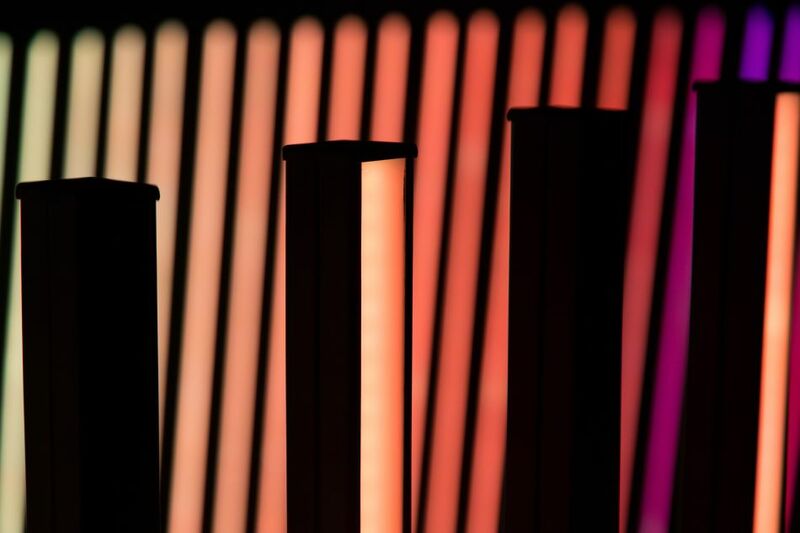 With each gesture, the patters of colour shifted and evolved, and the generative audio system responded accordingly, with a dynamic soundtrack to compliment the user’s experience. 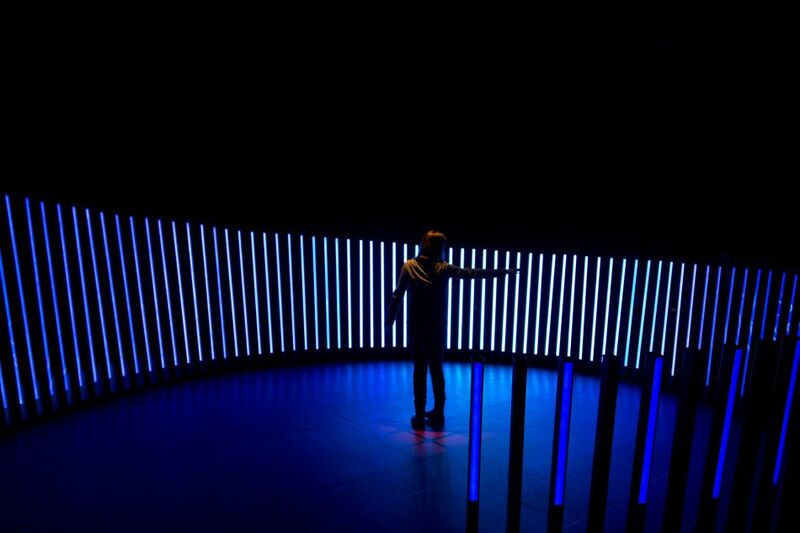 The installation seemingly switched between high energy states and calmer, zen-like periods, in response to the degree of movement and participation of the user. 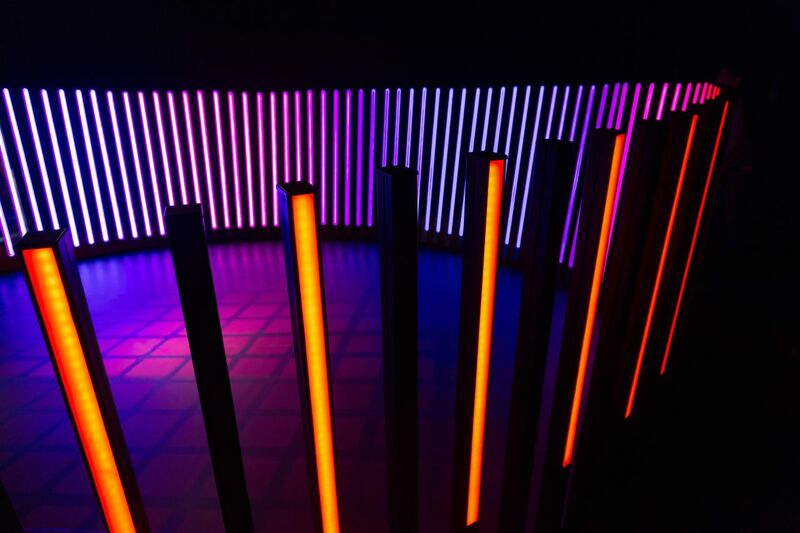 With an incredible responsiveness that captured the participants by surprise, the installation was a playful development of physically interactive concepts, previously explored in the Cinimod-produced Finial Response and DJ Light installations. Aurora Fugaz was a semi-permanent installation within the bustling Plaza Lima Norte shopping centre in Lima, Peru. 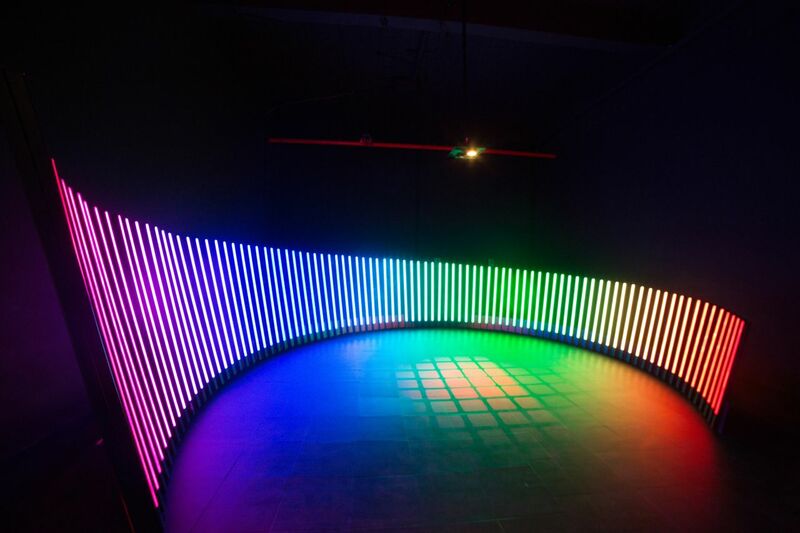 The project reunited the same collaborative team which previously created the DJ Light project, the Aronas Chandelier, the Peru National Stadium lighting façade, and the first Interactive Aquarium installation.